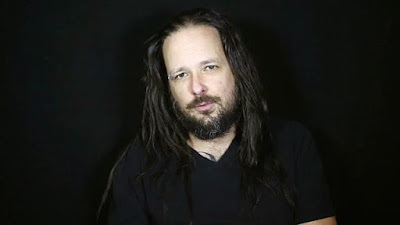 Korn's Jonathan Davis was recently interviewed by Rolling Stone, you can read some excerpts below. About President Obama and the surprise attention, he said: "I was asleep and then around six or seven in the morning, my phone starts going off. I look over and someone had just texted me, ‘The president just said your name during this Medal of Honor ceremony.’ I’m just like, ‘whatever,’ and went back to sleep, but my phone kept going." Davis continued: "I couldn’t believe it. It’s really cool. The President of the United States gave me props for being there for a Medal of Honor recipient. Groberg went through hell. I’m not going to take this moment and make it about that. This is about Captain Groberg."